In order to develop its future leaders, Bosch plans to fill 280 positions this year for its Junior Managers Programme (JMP). According to a press release, Bosch is looking for graduates with above-average college grades to fill these positions. Trainees for the programme will be recruited globally, with 34 positions to be recruited in Southeast Asia as the company expands its operations there. As the Southeast Asian headquarters for Bosch, Singapore plays a critical role in this region in driving business, as well as supporting growth through its corporate functions. Therefore, the company aims to add another three trainees in 2016 to its current pool of nine in Singapore. “The holistic exposure that our trainees in the JMP undergo are invaluable to both the company as well as the individual. 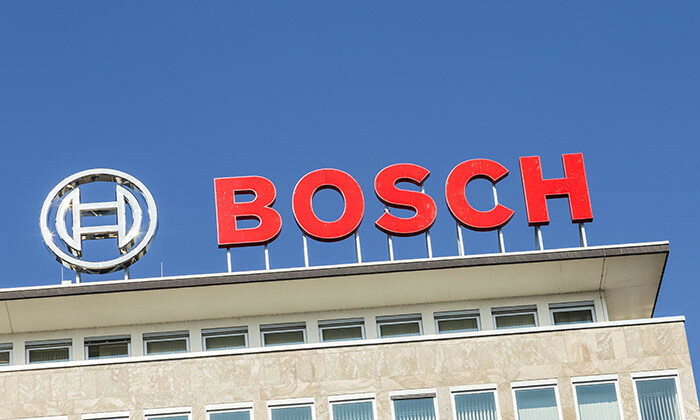 Their decision-making process will be one that considers multiple facets, while their leadership is grounded on the company’s values of fairness, credibility, and trust, amongst others,” says Volker Ehrlich, vice president and financial controller for Bosch in Southeast Asia, who is also an alumni of the programme. Kübel added that the company is looking for well-rounded individuals with IT and software skills, as well as engineering and business graduates. Considered to be a career springboard, the JMP was first introduced in Singapore in 1999. The programme provides a hands-on setting to prepare qualified young talent for the assumption of leadership tasks and is characterised by individual programme modules that are developed jointly by the participant and a mentor from senior management. “From the bottom up, they get to know a corporate culture that orients to values and sustainability rather than short-term profit maximisation,” Kübel explained. During the JMP, the participants alternate between plants, divisions, and corporate departments. They are expected to act on their own initiative and take on tasks associated with day-to-day work. The participants will also be expected to take on projects and will have access to their own training budget. According to Kübel, the goal is for the junior executives to assume leadership responsibility for a department eight years after joining the programme. Therefore, all trainees will have a permanent employment contract from the very beginning. The JMP is offered with various focal points and will lasts from 18 to 24 months. The programme also includes a post outside the participant’s home country. Immediately after the programme, trainees typically take over challenging specialist positions to prepare them for a successful executive career while some even quickly take on more responsibility. One former trainee who made it to the board of management is Dr. Stefan Asenkerschbaumer, chief financial officer, deputy chairman of the board of management of Robert Bosch GmbH. Asenkerschbaumer said: “Bosch focuses on personality The aspiring department heads have appealing career opportunities.” However, he added that for the trainees, a career shouldn’t be an end in itself. “Anyone interested in a future leadership career at our company should be able to motivate people, have an entrepreneurial mindset, and be able to work in a team. Those are ideal qualifications for becoming an executive at Bosch,” Asenkerschbaumer advised. The story of Anton Casey is a reminder to all managers and employees of the dangers of social media. So, what else do you need to ..